It seems that most toothaches happen at night, causing both pain and frustration. Toothaches are usually caused by dental problems like a cavity, cracked tooth, exposed root, or gum disease. 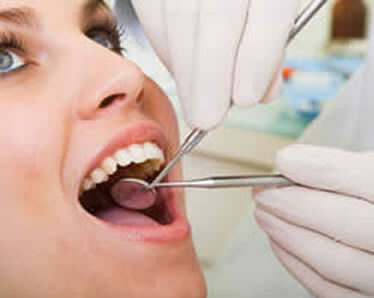 Seeing a dentist as soon as possible to resolve the issue is the best solution. However, if you’re unable to get an appointment right away, here are some home remedies that may help. Laying down causes increased blood pressure to your head. Elevate your head to decrease some of the pressure, and decrease the pain along with it. Take an over-the-counter medication such as ibuprofen or acetaminophen to relieve some of the pain. Avoid taking aspirin because it may increase bleeding. Rinse your mouth thoroughly with water in case there is any trapped food causing discomfort. Gently floss your teeth to dislodge food particles around the aching area. Try placing 2-3 drops of vanilla extract on the aching tooth for instant pain relief. Press a hot tea bag to the tooth to relieve soreness. Try gargling with antiseptic mouthwash, or a glass of water mixed with one teaspoon of salt after meals and at bedtime. Put an ice cube on the tooth or on the nearest cheek for 20 minutes several times a day. Apply clove oil or an over-the-counter antiseptic containing benzocaine onto the gums or tooth. Both of these items will numb the area to provide temporary pain relief. 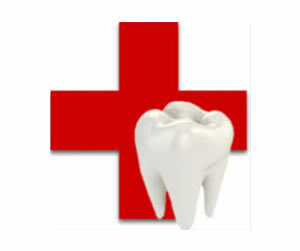 If you have a dental emergency, contact our Weston FL dentists office. Most people will find the basics of oral hygiene easy to remember. They know about brushing twice a day and flossing once a day, and of course regular checkups with their dentist in Weston FL are essential. Read on to learn the answers to some of the most common dental questions about oral health. How Is a Cavity Detected? There are various technologies that can help dentists detect a cavity, including dental x-rays, but many rely on simple but thorough visual examinations. During your checkup your dentist will gently probe the surface of each tooth. They are looking for any soft areas that may indicate tooth decay. Sometimes a cavity is visible to the naked eye. What’s The Difference between A Composite Filling and an Amalgam Filling? Amalgam fillings have been used for decades, and the silver colored material used to be the preferred choice for repairing back teeth. However amalgams can begin to leak and crumble as they age and they expand and contract whenever they come into contact with hot and cold. Nowadays dentists tend to use tooth colored composite resin fillings as these offer good cosmetic results and are more conservative. Professional teeth whitening treatments with your dentist in Weston FL can give the best and safest results. However certain teeth may not respond to bleaching and you might need to consider alternative options such as porcelain veneers. Can Adults Straighten Their Teeth? Yes and adult orthodontics is becoming increasingly popular. Around a quarter of all orthodontic patients are over the age of 18. Modern braces, for example Invisalign, can be nearly invisible enabling adults to straighten their teeth without the embarrassment or discomfort of wearing traditional fixed metal braces. Is It Better to Use an Electric Toothbrush Or a Manual Toothbrush? Your best choice is a brush you feel comfortable using. Electric toothbrushes can be very effective and are particularly good for anyone lacking manual dexterity. They have the benefit of built-in timers but can be expensive. Manual toothbrushes can be every bit as good as electric toothbrushes, provided they are used correctly. One of the greatest physical assets a person has is their smile. It can be a beautiful addition to brighten up a face, or it can be a negative feature when it is flawed. A damaged smile not only harms one’s appearance, it also likely causes self-consciousness. Luckily, cosmetic dentists provide ways to address issues to turn a person’s appearance around. There are many treatments available to transform smiles. Cracks, gaps, chips and discolorations can all be treated with bonding. This procedure involves applying a tooth-colored resin material to a tooth and using a special light to harden it. The resin bonds securely to the tooth enamel to repair the issue. Orthodontic issues can be corrected with braces. Patients may choose the traditional metal kind, or the newer invisible braces like Invisalign. These clear plastic aligning trays make orthodontic treatment less noticeable and are accompanied by fewer restrictions. Extremely thin shells of porcelain or composite resin are bonded directly to the front surfaces of teeth. This hides flaws in color, shape, length or other problems. Uneven or poorly spaced smiles can undergo a magical transformation with veneers. Another plus is that some materials like porcelain will not stain, so your smile stays pearly white. Missing teeth may be replaced with implants, which are titanium rods inserted into the jaw so that they become part of the bone. An artificial tooth is placed on top, leaving a secure and comfortable restoration. A damaged tooth can have a tooth-shaped cap placed on top of it, restoring its function and form. Crowns can last up to fifteen years and can be made from a choice of materials like porcelain, ceramic, resin or metal. The most popular procedure in cosmetic dentistry, teeth whitening brightens up a smile in only an hour. Professional methods available through dentists are painless and often provide dramatic results. In these cases, it may be necessary to visit your dentist for relining of loose or ill-fitting dentures caused by this shrinkage. Relining is a fairly simple process that can usually be completed in one day. The treatment involves taking an impression of your oral tissue inside your denture to provide a model. Additional material is fit to the tissue of your denture so it will better align with the changed condition of your gums. This type of chairside reline is quite effective with lasting results. However, for a more accurate and longer lasting result, your dentist may recommend sending your dentures for a laboratory reline. This process involves curing the plastic of your denture in a laboratory, very much like your original denture was formed. While a laboratory reline will require you to be without your denture for a period, this method is considered the most accurate and durable. 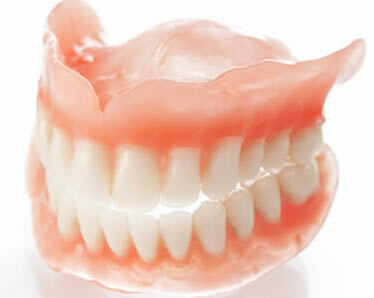 If you are currently experiencing ill-fitting or loose dentures, check with your dentist about the possibility of a denture reline to improve your overall dental health and comfort and to help your dentures achieve their fullest potential. Just as with medical care, the field of dentistry has benefitted greatly from X-rays as a diagnostic tool. They can be helpful for a number of situations, such as dental implants, dentures, braces, root canal treatment, and other procedures. Also, X-rays are important when identifying the cause of symptoms like bleeding or pain. Dental X-rays provide advantages to patients of all ages. Children and teenagers have unique dental needs that cause dentists to recommend the use of X-rays. They help determine the amount of space available in a child’s mouth to accommodate teeth as they develop and erupt. X-rays are extremely valuable in keeping track of wisdom teeth that might be impacted and causing problems with adjacent teeth. Dentists also may use X-rays to examine tooth decay that can’t be seen with a visual examination, especially between teeth. Dental X-rays are often recommended for kids as they grow to watch the development of their teeth and jaws. Some dentists advise doing this yearly to prevent problems and predict treatment needs. Each child’s dentist will determine on a personalized basis whether an annual dental X-ray is advised for that child, since the requirements are dependent on things like the child’s health and past dental history. Adults also benefit from the use of dental X-rays. Dentists use this tool to monitor bone loss in adult patients that could be related to age or gum disease. X-rays also identify damage or changes that may occur in the bone or tooth roots that are caused by infections. 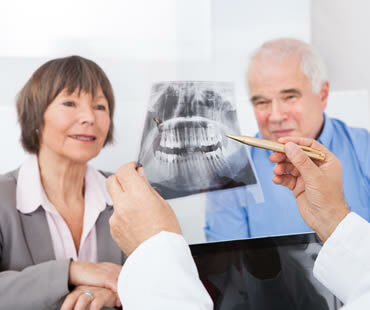 Adults with a history of oral health issues may be advised to have annual dental X-rays to closely monitor the problems. As with children, the dentist will be able to determine how often dental X-rays might be warranted in each individual adult patient to achieve optimum oral health. Contact our dental office in Weston FL if you need a general dentist. Most people don’t worry if their children get a cavity or two. 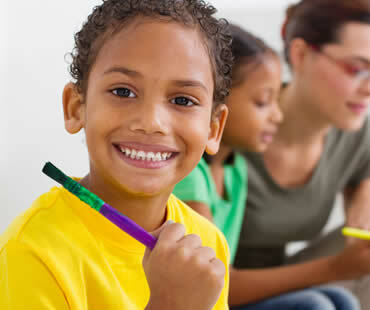 Unfortunately, tooth decay can have an impact on can impact, development, nutrition, and behavior. Identified by the Centers for Disease Control and Prevention (CDC) as a silent epidemic, tooth decay occurs five times more often in children than asthma. By kindergarten, 40 percent of kids will have developed cavities. During difficult financial times, such as the ones our country has recently faced, families have to prioritize their spending and dental care is often seen as optional. For infants and children, dental checkups are an important component of overall health. Because tooth nerves are close to the blood supply, tooth infections can quickly and easily spread, which can lead to serious complications. Other issues can also arise. When children have pain from cavities, they may eat less, increasing the risk for malnutrition. If kids are malnourished, they can have difficulty learning. Sometimes, parents mistakenly believe baby teeth don’t matter, but that’s not the case. If early teeth are lost too soon, permanent teeth can come in at the wrong time and in the wrong location, creating future orthodontic problems. Schedule a first exam between ages one and three. Make regular checkup appointments twice a year after that. Start brushing your child’s teeth as soon as the first one erupts. Limit sticky, starchy, and sweet foods. Select healthy snacks like fruits, vegetables, and cheese. Talk with your dentist about applying a fluoride varnish to protect teeth. The word cancer strikes fear and dismay in most people, and it’s no different when the diagnosis is oral cancer. You should know the risk factors and symptoms so that you can either avoid it completely, or catch it early enough that you’ll have the best chance of recovery. Oral cancer is not contagious, but there are some activities that put you at higher risk for the disease. Both smoked and smokeless tobacco are linked to oral cancer, and the more you use tobacco the greater your risk becomes. Excessive alcohol consumption also increases your risk, and paired with tobacco use your risk is even higher. Sun exposure heightens your chances of developing cancer of the lip. If you notice any of these signs, visit your dentist right away to get screened for oral cancer. When diagnosed early, there is an 80 percent survival rate. Unfortunately many patients wait too long to see their dentist, and late-stage diagnosis is the reason for most oral cancer deaths. Similar to other areas of healthcare, dentistry offers various specializations. For example, pediatric dentistry targets the children. Orthodontics offers braces and related treatment to align malaligned teeth. Cosmetic dentistry is for aesthetic purposes that include teeth whitening and smile makeover. Family dentistry focuses on general dental treatments for every member of the family no matter their age. Family dentists treat most typical dental issues. Procedures offered by them include procedures like general checkups, fillings, cleanings, extractions, crowns, and other procedures. Having a family dentist allows the members of the family to visit the same location, get to know one healthcare provider and the staff, obtain the same preventative care, and learn helpful information about your oral health needs. If some other type of specialist is recommended, your family dentist will be able to refer you for further treatment. There are some good ways to find a family dental practice that meets your needs. Finding one might not be as hard as you think. Advertisements, online research, and around for recommendations are good starting points. You should visit the office to meet the staff, see the facility and equipment. A visit there will give you insights into the practice and the services offered. Ask any questions you have to know more about the treatment provided. It is most likely that your family members will have a good working relationship with a family dentist for years to come, so it’s important to make a right choice from the start. Professionally and personally, men have just as many reasons as women do to look their best. Your smile is one of the first things people notice about you. Having a vibrant, white smile can create a perception of self-assurance, intelligence, and warmth. Men who have cosmetic dental enhancements can enjoy the benefits of looking younger and feeling more confident. Though you can opt for a total smile makeover, you don’t have to change everything to update your appearance. For a minimal investment, teeth whitening can make you look years younger. If you want to straighten teeth, talk with your dentist about Invisalign clear braces. Porcelain veneers can cover imperfections on front teeth and reveal a gorgeous, new image. Not only can rejuvenating your smile boost your confidence, but it can also improve your oral health. Crooked teeth are actually harder to clean, which can lead to gum disease or decay. As well, small cavities can lead to the need for crowns or root canals if left untreated. To enhance your smile, visit cosmetic dentist Dr. Thanos in Weston, FL Talk with friends, relatives, and colleagues to get recommendations. Once you find the right person, schedule a consultation so that you can meet with the doctor and share your ideas. Why wait any longer to enjoy a sensational smile?